Remember my friend Rachele that I've spoken of before? We have good times together and her/our projects are fun to make! I also hope she starts blogging again, because she's good at it! she has added an annual Christmas ornament exchange. 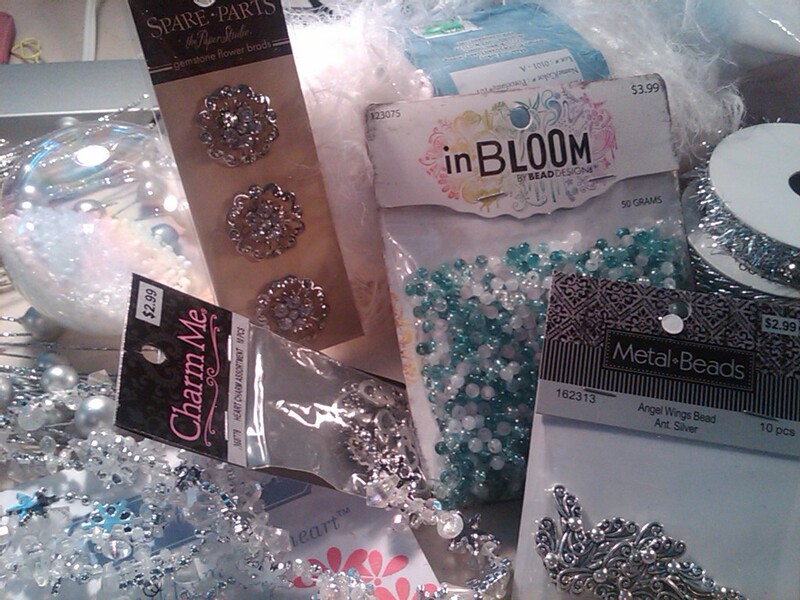 I am so grateful to be surrounded by such amazing (and crazy fun) crafty women! And can I just interject AGAIN about how much I love Pinterest? Anytime I need an idea for pretty much ANYTHING, I can find it there! 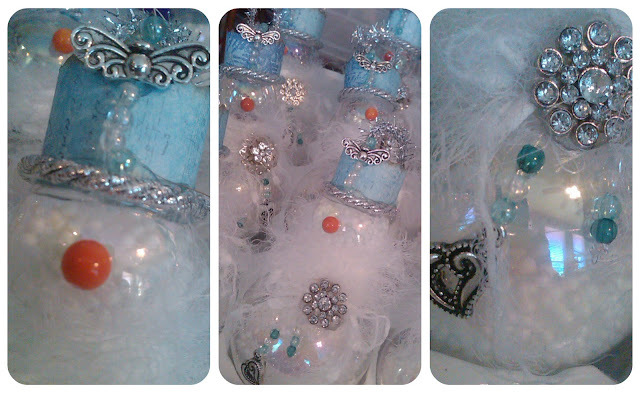 So I created a list of handmade ornaments that I loved and finally narrowed it down to one. I don't know who originally made it, but isn't he completely adorable?! This was one of my favorite quests EVER at Hobby Lobby! 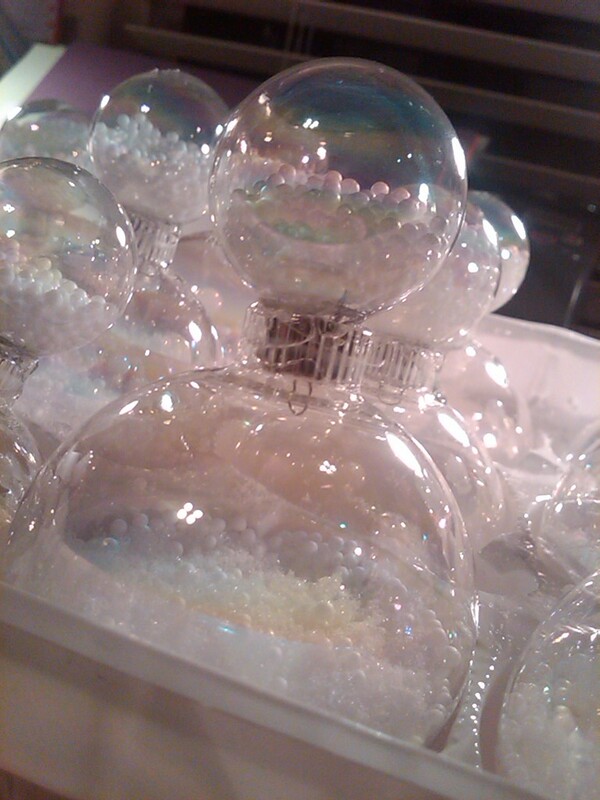 I filled regular and small sized clear glass ornaments with tiny foam balls and fake snow. 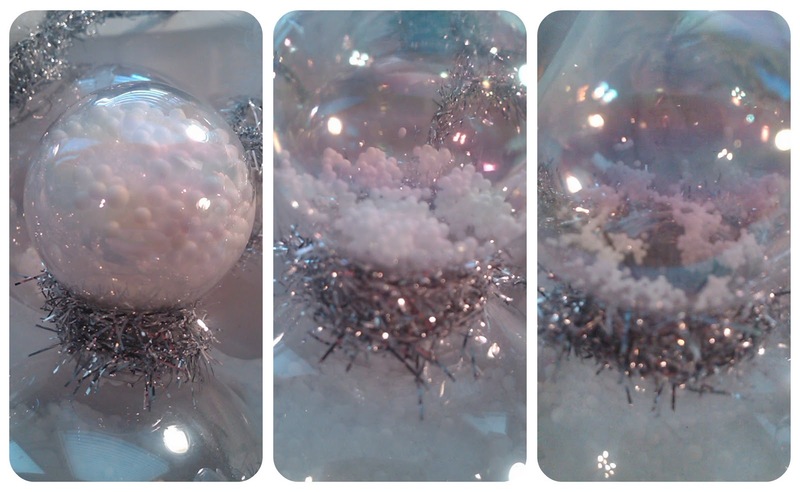 I left the metal 'cap' on the small ornament to hold the snow in, then glued them together with E6000. 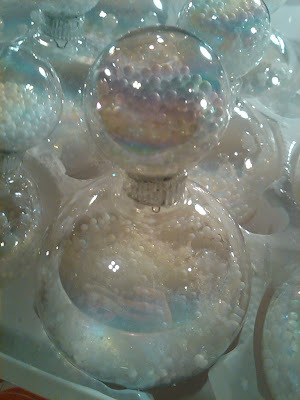 The small ornament with it's 'cap' fit perfectly snug into the larger ornament. Here is the first one I finished. Ummmmmm, are you thinking what I'm thinking? Or who's that Mario guy? Him too!!! Ahhhh, that's better. A little more charming without the big goofy grin! Don't you think? How cute is Tracie's handmade 'cupcake'?! Paula's tiny topiary blew me away! 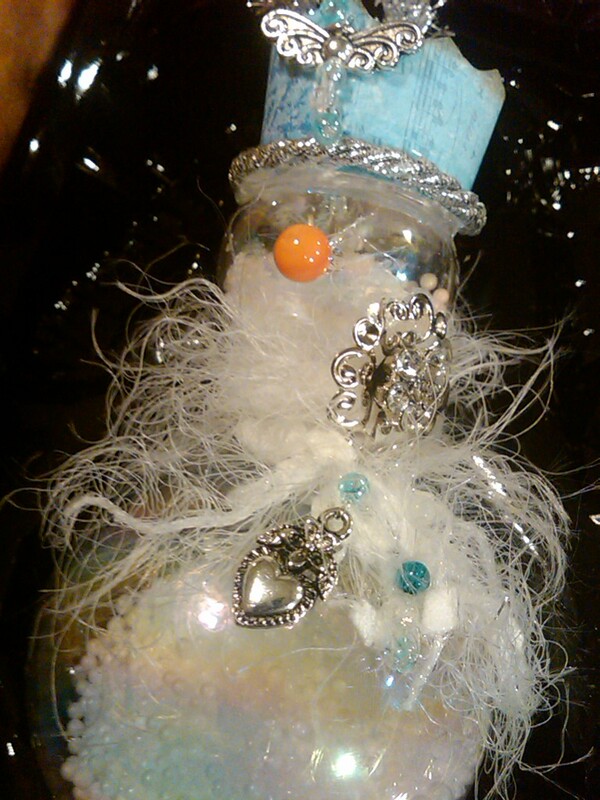 Ann's precious handmade drum....she always has a way with packaging too! Rachele is a clever one with that paper! So cute! I love every single ornament and how completely different they all are! Funny how I didn't even make one of mine to keep for myself. Here's Ann's handmade 'ribbon candy' with her clever packaging (that she also handmade). I absolutely love the simplicity and meaning of Monika's glass ball! Kathy is the super sewer of the group! Rachele's made from a cookie cutter, a big bell and layers of fabric and glitter! Tracie's handmade decoupaged paper ball! 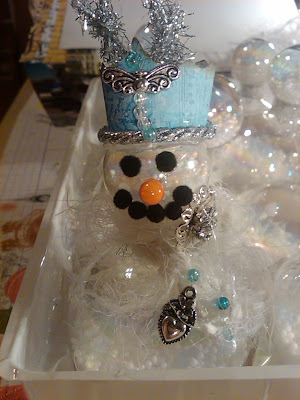 I hope you found some inspiration to make some ornaments of your own next Christmas!